“WE DAY” hit the Kitchener Memorial Auditorium today! It was quite a sight. 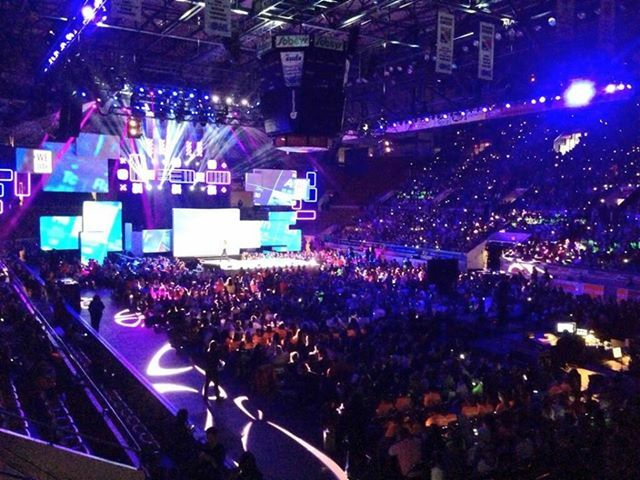 Six thousand local students, yes 6000… filled The Aud today for the fourth We Day to hit the area. Featured speakers included Martin Luther King III. One of our kids went to the event and she told me she had an amazing time! Posted on November 20, 2013, in Arts, Entertainment, Family Fun, Free Stuff to do, Local Business, News and tagged free stuff to do, fun stuff to do, grand river, kitchener, kw, local, school events, students, waterloo, we day. Bookmark the permalink. Leave a comment.